Nevada attorney, Robert L. “Bob” Crowell, has over 40 years of experience as a legal professional. Currently, he is a stockholder partner in the statewide law firm of Kaempfer Crowell and was recently awarded the prestigious State Bar of Nevada Presidential Award (recognition of a member whose conduct, honesty and integrity represents the highest standards of the legal profession). 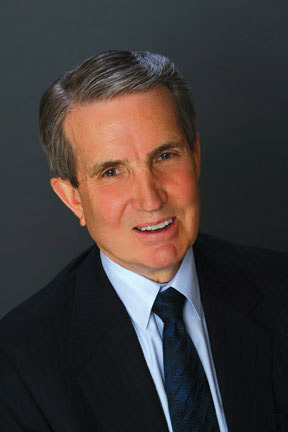 An active community member and distinguished statesmen, Bob was reelected for a second term as Mayor of Carson City in 2012. He has served a variety of organizations including: the Carson City School Board of Trustees (two time president), past President of the Carson Chamber of Commerce, Board of Directors of the Northern Nevada Development Authority, and past president of the Rotary Club of Carson City. Currently, he serves as a director of the Capital City Circles Initiative, an organization of business and religious leaders seeking to address poverty in Carson City, and he was appointed to the Board of Directors of the Nevada State EB-5 Regional Center in 2011. At the state level, Bob is past president of the State Bar of Nevada and past chairman of the Nevada Mandatory Continuing Legal Education Board. Bob has also served as chairman and member of the Colorado River Commission (a gubernatorial appointment). Further, Bob is proud to have served in the US Navy, achieving the rank of Captain, and is a Vietnam Veteran. Bob earned his undergraduate degree in economics from Stanford University in 1967 and his Doctor of Jurisprudence degree from Hastings College of the Law in 1973. That same year, he was admitted to the Nevada State Bar. He is a member of the Bar Register of Preeminent Lawyers and included in Best Lawyers in America in the fields of Government Relations and Energy Law.